People living in Eastern Canada and U.S. are probably familiar with the smart, adaptable wild canine that lives in their forests, neighborhood parks and even cities. 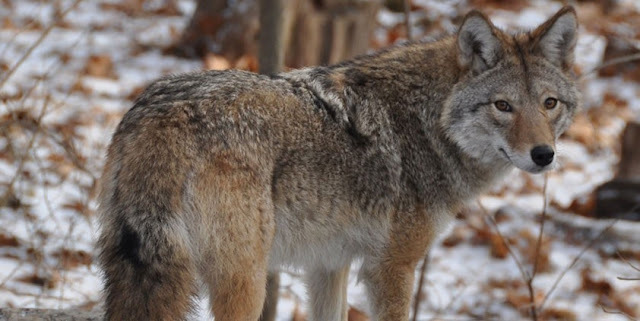 What they may not know is that eastern coyotes aren’t true coyotes at all. They might better be known as hybrids, or coywolves. Coywolves only emerged over the last century or so and have since spread successfully over much of eastern North America, reports Zachary Davies Boren for The Independent. As deforestation, hunting and poisoning depleted the population numbers of eastern wolves, they interbred with western coyotes. A report from PBS writes that the first eastern coyote or coywolf appeared around 1919 in Ontario, Canada. Today, wolf DNA has popped up in "coyote" poop as far south as Virginia. 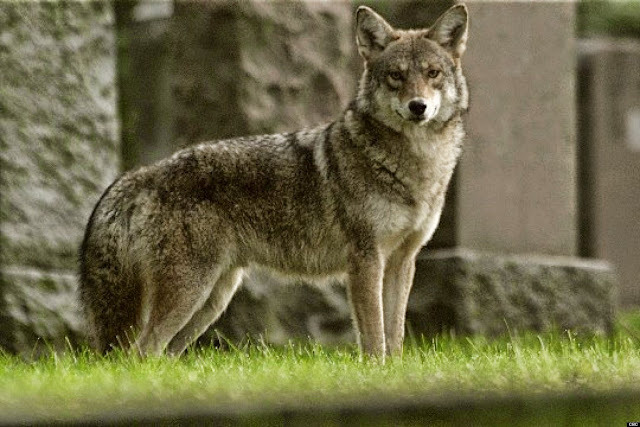 The hybrid, or Canis latrans var., is about 55 pounds heavier than pure coyotes, with longer legs, a larger jaw, smaller ears and a bushier tail. It is part eastern wolf, part wester wolf, western coyote and with some dog (large breeds like Doberman Pinschers and German Shepherds), reports The Economist. 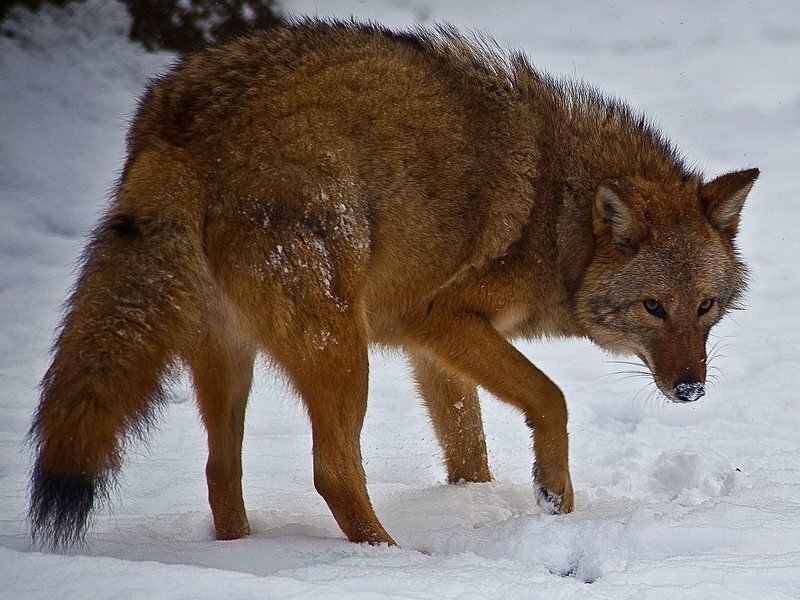 Coywolves today are on average a quarter wolf and a tenth dog. The dog DNA might even include some tolerance for the noise of cities. At least 20 now live in New York City, and others have been spotted in Washington D.C., Boston and Philidelphia, reports Michael Tanenbaum for the Philly Voice. 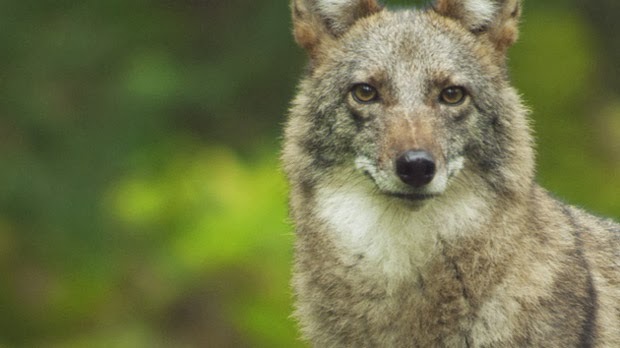 While the fact that coywolves can still breed with wolves and dogs means it doesn’t quite fit the definition of a new species (for some), that may change. Coywolves are telling an "amazing contemporary evolution story that’s happening right underneath our nose," Kays tells The Economist. Someday, they may unambiguously be another species, but for now coywolves are enjoying the advantages of hybrid vigor. Responses to "Coywolves are Taking Over Eastern North America"